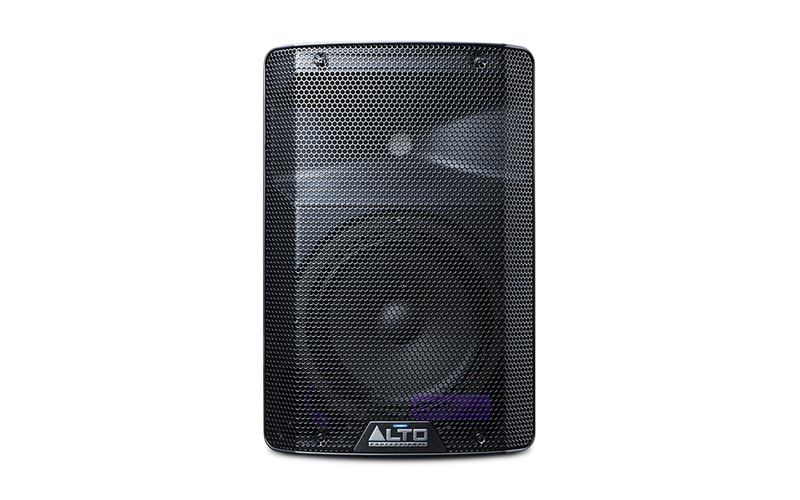 Here we have the Alto TX208 in B-Stock. The B-Stock versions would have been on display at a training evening or trade exhibition only and will come boxed 'as new' with all accessories and a 1-year warranty. There are four models in the rangethe 300-watt TX208 and 210, and the 600-watt TX212 and TX215. They are all bi-amplified 2-way designs, with a long-excursion woofer and a 1-inch titanium compression driver in a newly-designed precision horn. This new horn design improves the high-frequency performance and produces a very precise 90H X 60V radiation patternideal for optimal audience coverage. The TX2 Series features a new ID, resulting in rugged, lightweight, easily-transportable cabinets. Their trapezoidal shape enables either upright or wedge monitor positioning and the full-sized steel grille gives complete driver protection. 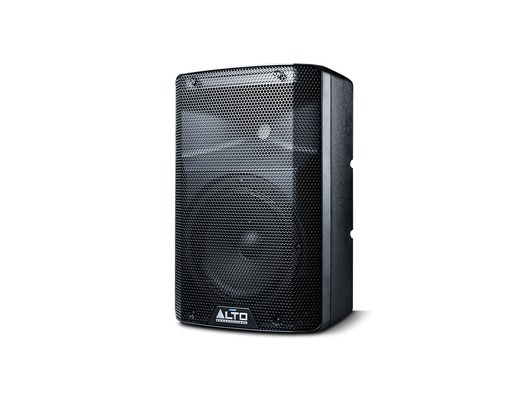 These speakers are built for continuous heavy-duty use. 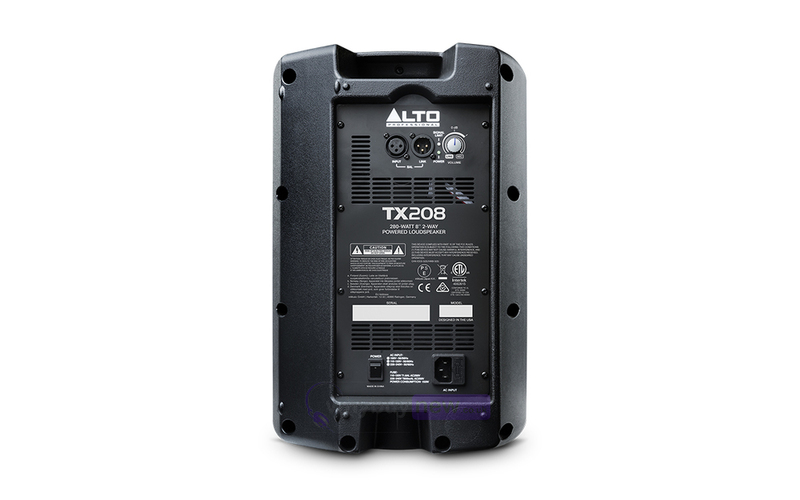 Add to that their full complement of inputs/outputs and mounting options and its easy to see that the TX2 Series plays an indispensable role in your performance. 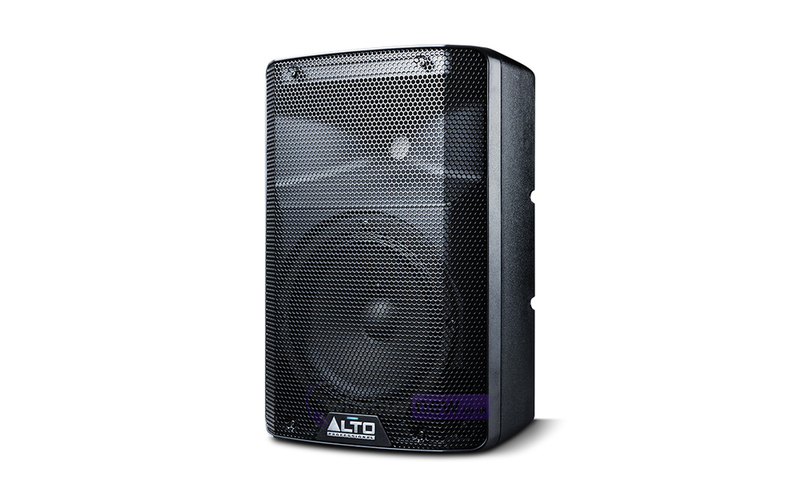 The TX2 Series from Alto Professional. Sound like a pro. Net Weight: 13.9 lbs. / 6.3 kg.